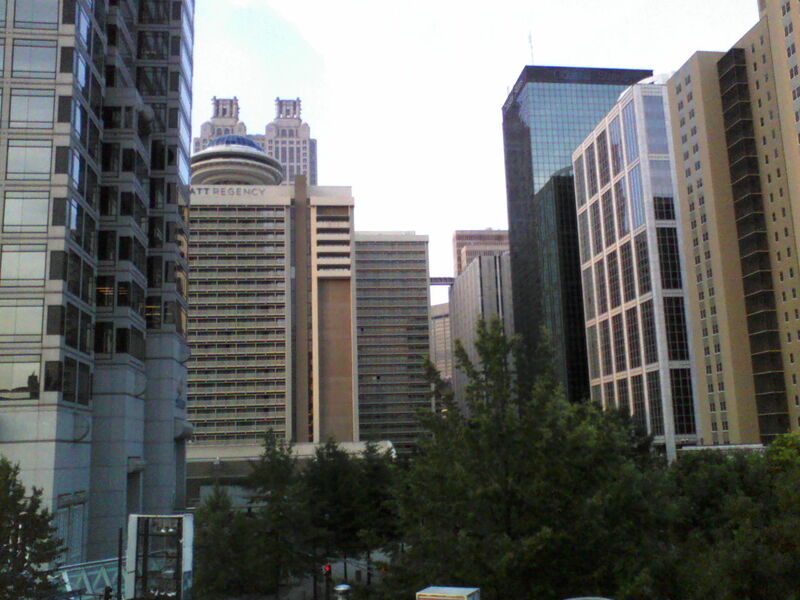 Back from Atlanta as of last Sunday. Still processing everything I’ve heard in workshops and from various eloquent speeches given by RITA and Golden Heart honorees. And still adjusting to the three hour time difference, which can turn me into a heavy-eyed, sleep-deprived zombie on a moment’s notice. At some point, when I’m more coherent, I’ll share some memories and anecdotes of the conference. But for now, I hope some pictures will do. 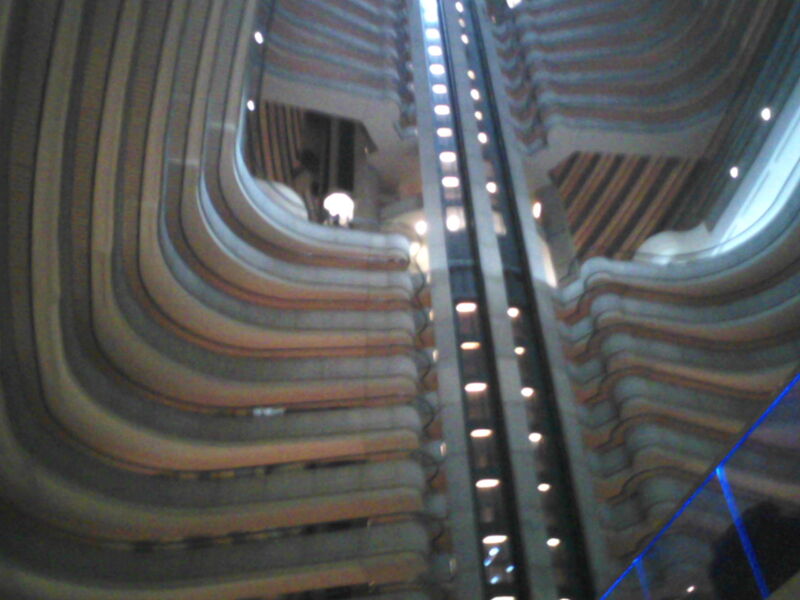 Groundling’s eye view of the conference hotel–the staggeringly tall Atlanta Marriott Marquis. Glancing up towards the roof, and the elevators climbing up into the stratosphere can give one vertigo! Fortunately, the sessions were held on the much lower levels. 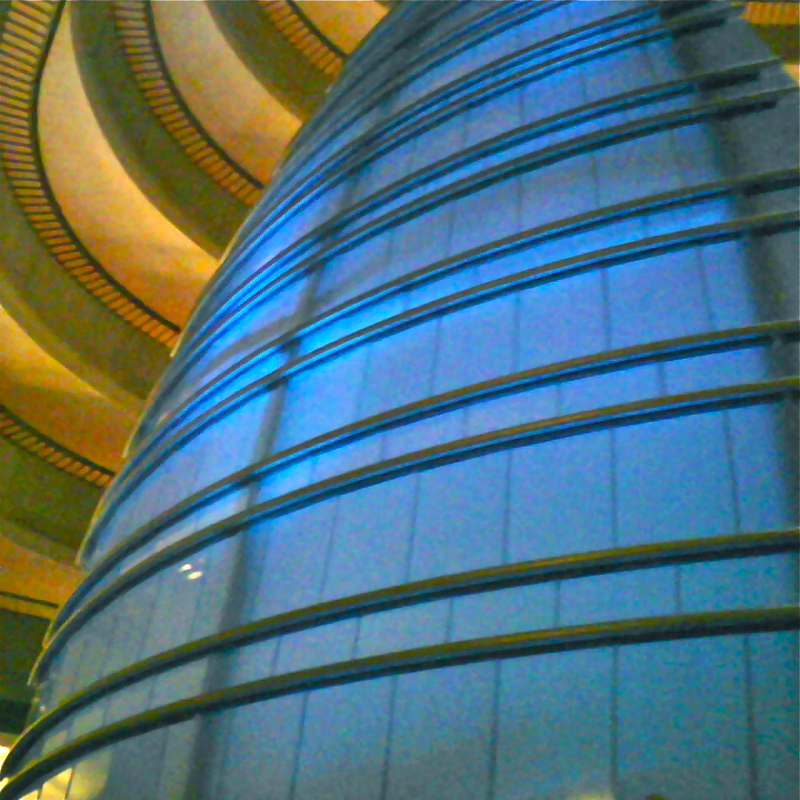 Decor at the hotels ranged from the striking, as in this electric “sail” sculpture on the Atrium level of the Marriott . 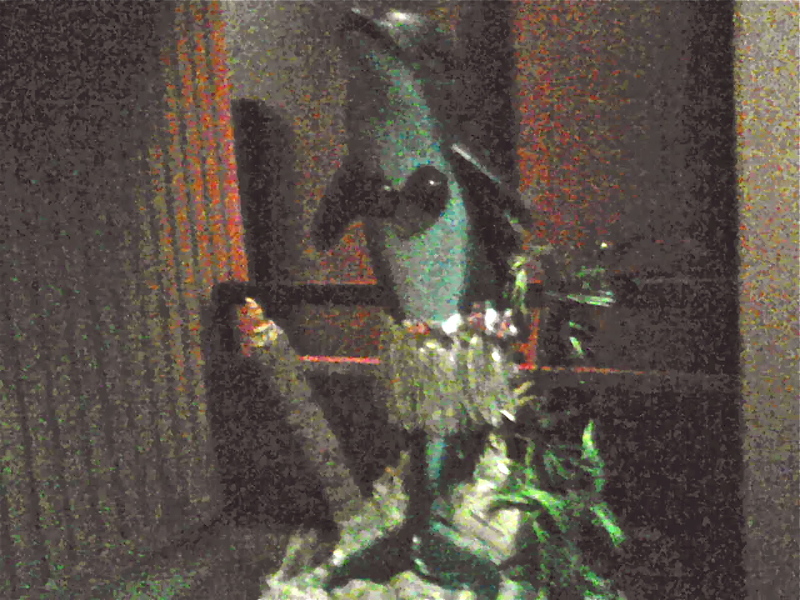 . .
To the seriously silly, as evidenced by this dolphin sculpture outside of Trader Vic’s, a Polynesian restaurant in the neighboring Hilton Atlanta. Quite a number of decorated dolphin statues could be found in downtown Atlanta. 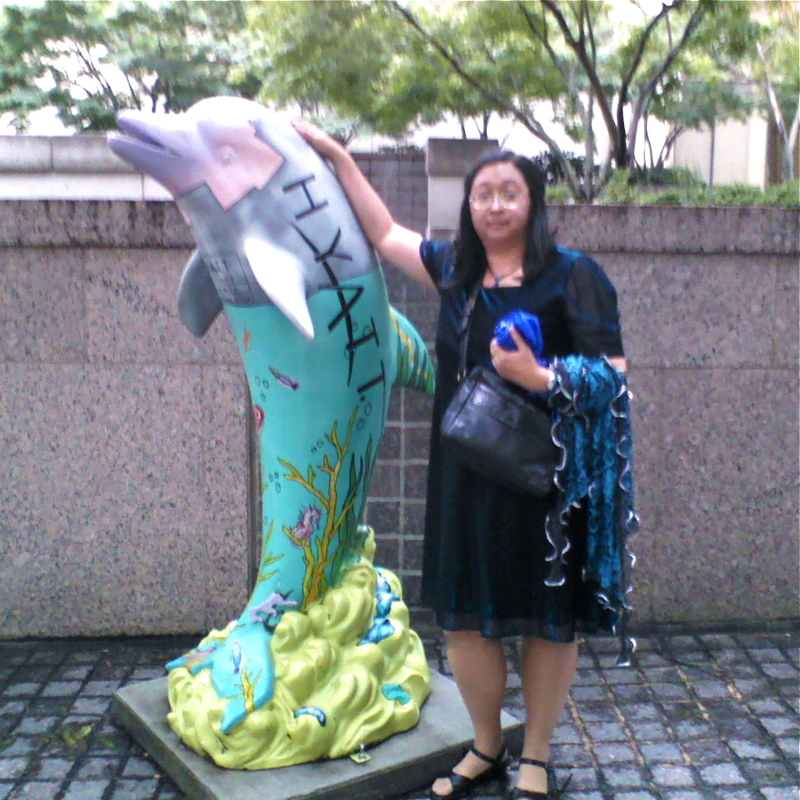 An obliging passerby offered to take a picture of me next to one (painted with aquatic life) outside the Regency Hyatt. 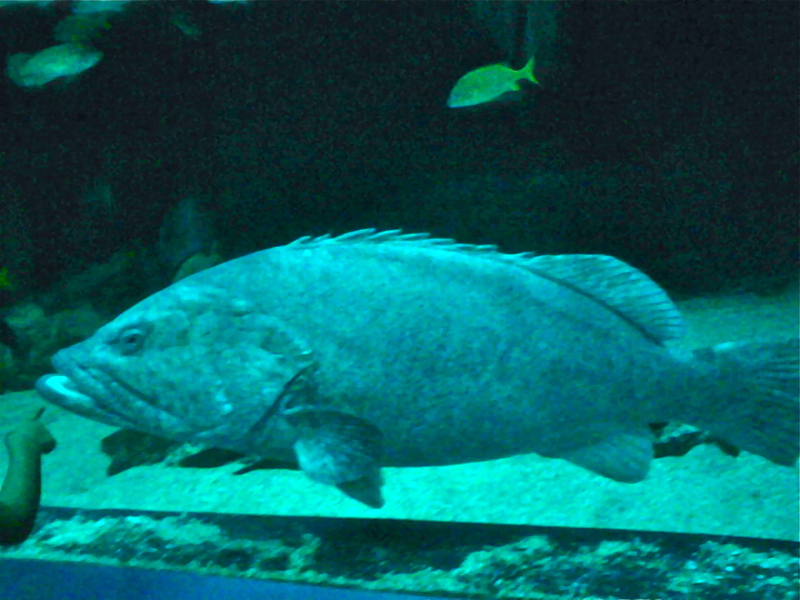 Personally, I think this guy (from my visit to the Georgia Aquarium) made a slightly better photographic subject, if only because he knew how to stay perfectly still. 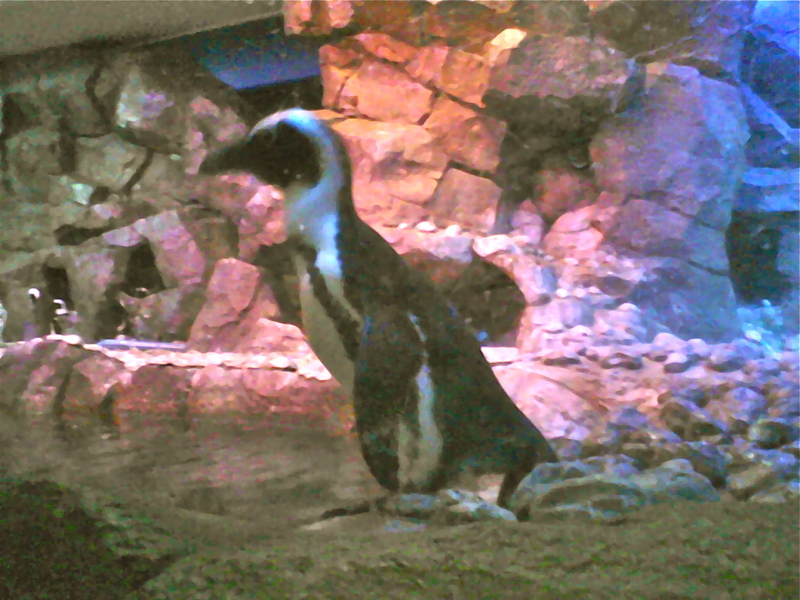 I have to confess the last guy kind of gave me the creeps, even though he appeared to be sound asleep when I visited. 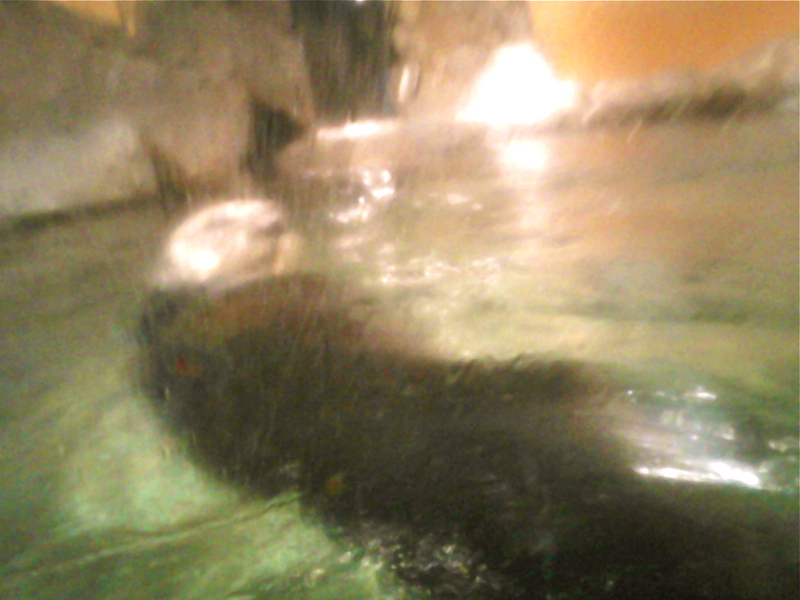 Nonetheless, I was relieved that there was a thick pane of glass between him and me! 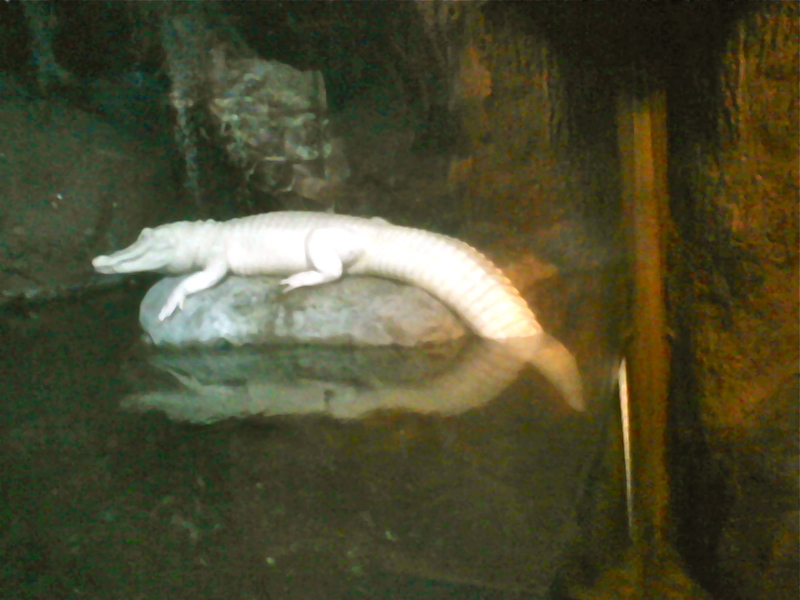 The humans I met on this trip were a great deal less alarming. 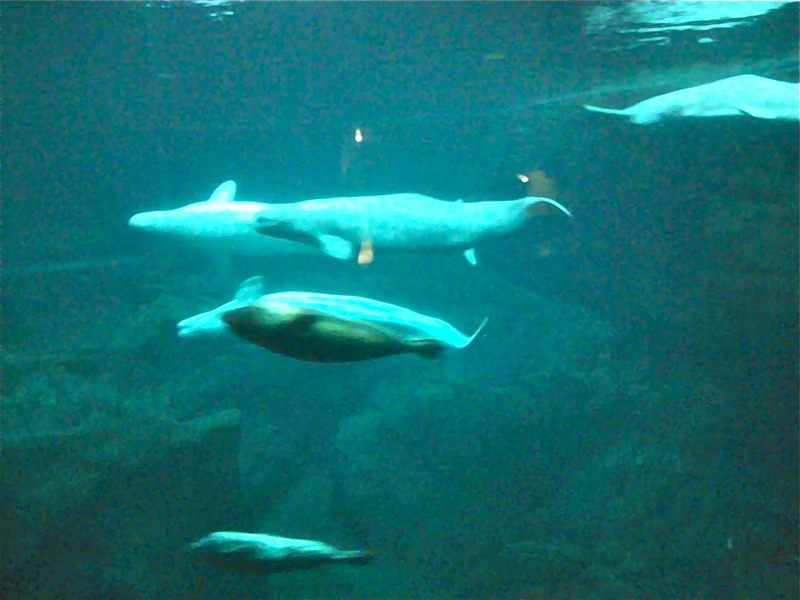 But more on them in a later post.